Ushiyama J, Suzuki T, Masakado Y, Hase K, Kimura A, Liu M, Ushia J. Between-subject variance in the magnitude of corticomuscular coherence during tonic isometric contraction of the tibialis anterior muscle in healthy young adults. J Neurophysiol 2011; 106: 1379-1388 . Shindo K, Kawashima K, Ushiba J, Ota N, Ito M, Ota T, Kimura A, Liu M. Effects of Neurofeedback training with an electroencephalogram-based brain-computer interface for hand paralysis in patients with chronic stroke: a case series study. J Rehabil Med 2011;43:951-7. 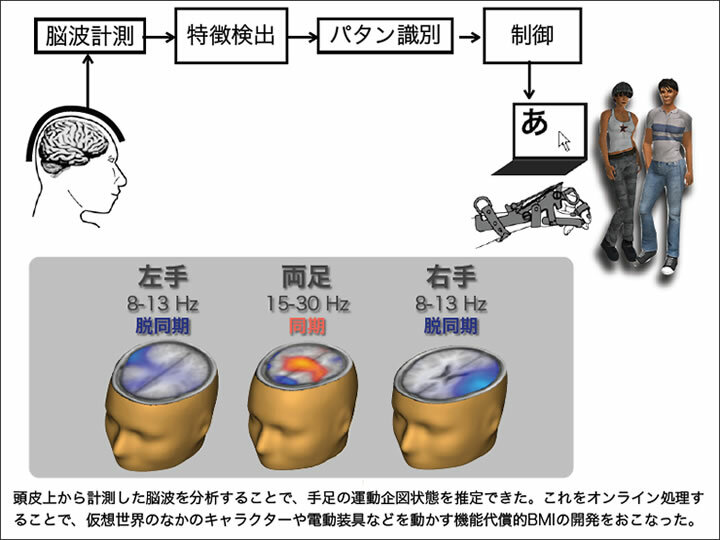 Kasashima-Shindo Y, Fujiwara T, Ushiba J, Matsushika Y, Kamatani D, Oto M, Ono T, Nishimoto A, Shindo K, Kawakami M, Tsuji T, Liu M. Brain-computer interface training combined with transcranial direct current stimulation in patients with chronic severe hemiparesis: Proof of concept study. J Rehabil Med. 2015;47:318-324. 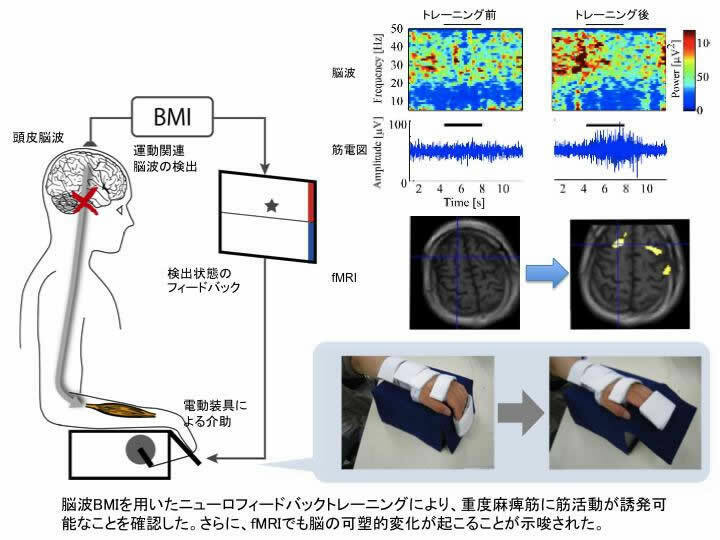 Kawakami M, Fujiwara T, Ushiba J, Nishimoto A, Abe K, Honaga K, Nishimura A, Mizuno K, Kodama M, Masakado Y, Liu M. (2016) A new therapeutic application of brain-machine interface (BMI) training followed by hybrid assistive neuromuscular dynamic stimulation (HANDS) therapy for patients with severe hemiparetic stroke: A proof of concept study. Restor Neurol Neurosci. 2016；34:789-97.